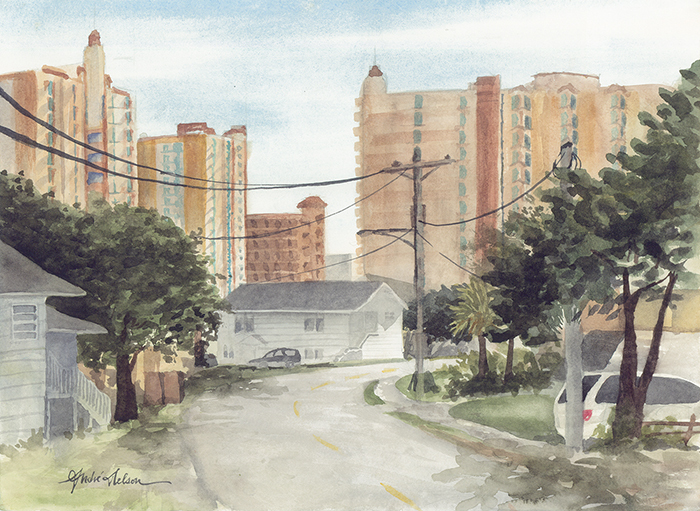 Each day driving back along Hillside Avenue from wherever we found ourselves going, we experienced this view of the Wyndham Resorts backdropping the almost shanty-like local houses of North Myrtle Beach. I loved the contrast between new and old, grand and simple. I also thought the telephone pole in the center was an interesting addition to the scene.